Healthy Blueberry Pie. Out of all the desserts out there, pie has always been my favorite. In fact, my very first blog post was a pie recipe. Please forgive the awful photos! Since we are in the middle of berry season, I was thinking about blueberry pie. Last weekend, we took the girls out to lunch at Spiral Diner. My husband got the blueberry pie for dessert. It was good! I knew I could come home and make a healthier blueberry pie! 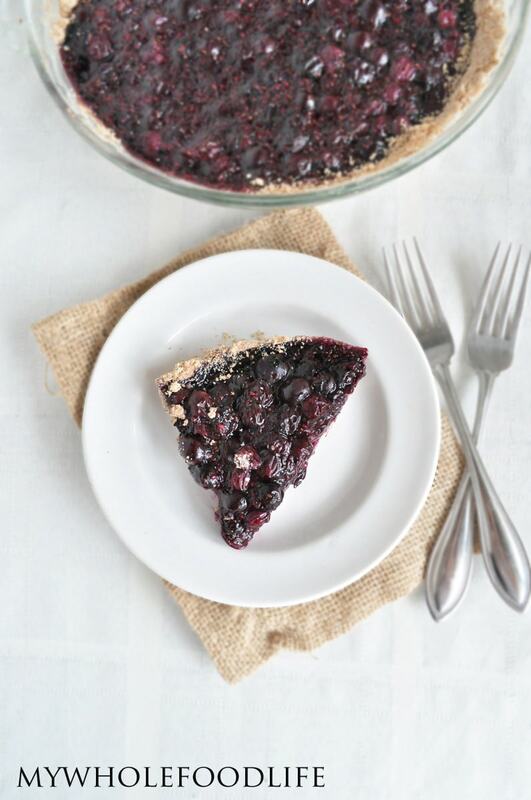 My homemade blueberry pie is not only delicious, it’s vegan, gluten free and grain free! 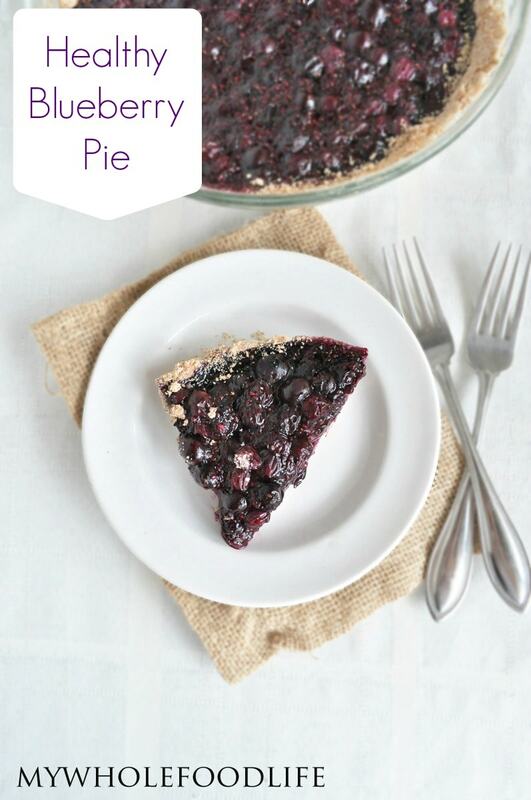 This healthy blueberry pie is also very easy to make! If you like pie recipes as well, you may also like this and this. This pie is delicious when topped with coconut whip cream. See how to make it in the video below. For more videos, you can subscribe to my You Tube Channel. A healthier version of the classic pie! In a food processor , mix the flour and salt. Add in the coconut oil and flax egg and pulse until a dough starts to form. Press the dough into a glass pie dish and bake for about 9-10 minutes. Please keep the pie stored in the fridge. It should last at least a week. You may even be able to freeze it, but I haven't tried to say for sure. The crust recipe I used was from Elana's Pantry . Delicious recipe! I made this for Easter dinner and it was a hit! I used frozen berries and only 4 cups and I still had about 1 cup of filling leftover (which I am using as jam). I also used xanthan gum instead of arrowroot with a 1:1 swap because that's what I had on hand and it worked perfectly fine. I will definitely make this recipe again, thank you so much! I am so glad you liked it Jenna! Do you have information on grams of sugar, grams of fat in this? Could I substitute the maple syrup if I were making it for someone who needs to watch the sugar and I do not want to use anything artificial. I'm sorry I don't. You may be able to cut the sugar a little and add more fruit? Just my guess. This is AMAZING. Thank you so much for such a delicious, healthy recipe!! Could I use cornstarch instead of arrowroot and agave instead of maple syrup?